I hope your day is as happy as mine … twenty years ago, I kicked off a lifetime adventure with the man of my dreams. Two decades later, we’ve traveled the world, laughed and loved, and created the best son in the world. Happy Anniversary to my love! 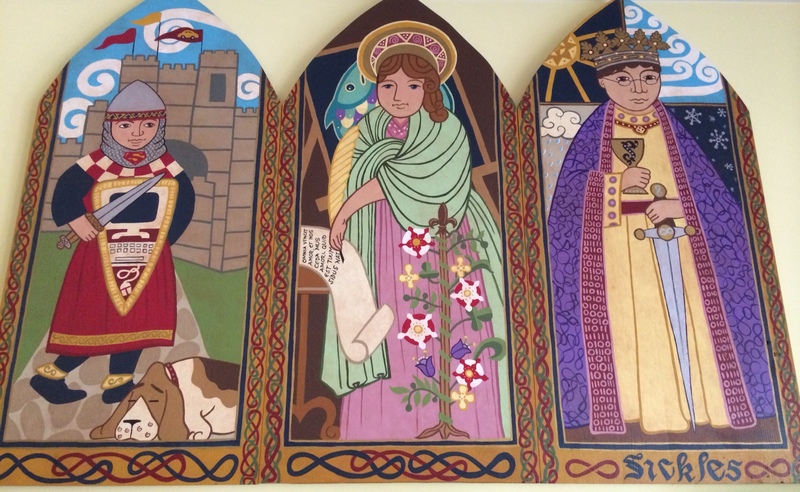 Illustrator and artist, Monica Wyrick, created this beautiful triptych for our family. « Hello West Yadkin Elementary!